Purpose: This is a tool for helping parents, caregivers, extended families, and their children have conversations about what social, emotional, and academic development actually looks like in practice, in the learning environments where they spend much of their time. 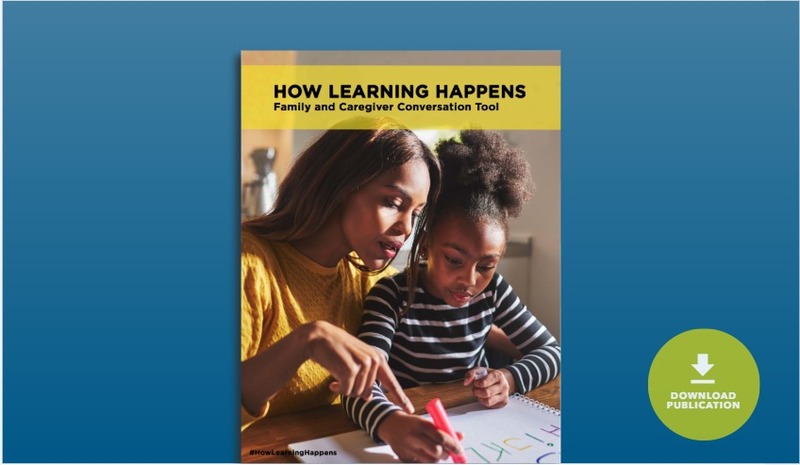 It offers families concrete ways to identify what to look for at schools and in after-school environments that would indicate an intentional approach to the social, emotional, and academic development of their children. It also helps families and young people engage together in conversation around how they can help their schools and after-school programs take a more intentional approach to developing these important skills and competencies. Note: InDesign files are available for you to brand as your own, or to swap out customized images of specific schools, programs and young people, with the same text.